Harvey V. Fineberg is president of the Gordon and Betty Moore Foundation. He previously served as president of the U.S. Institute of Medicine (now National Academy of Medicine), as provost of Harvard University, and as dean of the Harvard Chan School of Public Health. He has devoted most of his academic career to the fields of health policy and medical decision-making. His past research has focused on global health, assessment of medical technology, evaluation and use of vaccines, and dissemination of medical innovations. Dr. Fineberg chaired the WHO Committee on the Functioning of the International Health Regulations (2005) and on Pandemic Influenza A (H1N1) 2009. He chairs the board of the Carnegie Endowment for International Peace and serves on the China Medical Board. He previously served on the boards of the William and Flora Hewlett Foundation, the Josiah Macy, Jr. Foundation, and the Association FXB (USA). He helped found and served as president of the Society for Medical Decision Making. Dr. Fineberg serves in a number of other advisory capacities, including the foresight committee of the Veolia Environment Institute and the advisory board of the Peterson Center on Healthcare. Dr. Fineberg is co-author of the books Clinical Decision Analysis, Innovators in Physician Education, and The Epidemic That Never Was, an analysis of the controversial U.S. immunization program against swine flu in 1976. He has co-edited books on such diverse topics as AIDS prevention, vaccine safety, understanding risk in society, and global health and has authored numerous articles published in professional journals. 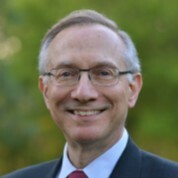 Dr. Fineberg is the recipient of several honorary degrees, the Frank A. Calderone Prize in Public Health, the Henry G. Friesen International Prize in Health Research, and the Harvard Medal, awarded by the alumni association of the university from which he earned his bachelor’s and doctoral degrees.